ID must match name and address you provide. Qualifying documents required must match name of qualifying client. If someone else is bringing your pet make sure if you are the person that qualified they have a copy of your ID and Qualifying documents under your name, they must also fill out all paper work under the qualifying client’s name/ information. Vaccine records need to be provided for all dogs. 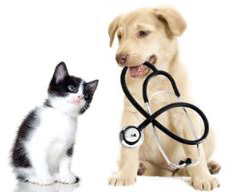 Pets cannot eat anything past 10pm night prior to the surgery date. Water is ok just limit the amount. Pets that are 4 months & under can eat a quarter of the amount fed 2hours prior to surgery. All dogs must come on Leash. Cats must come in a hard case secure cat carrier. Call to cancel or reschedule 24hrs prior to surgery to avoid $25 fee. Perros y Gatos de más de cuatro meses de edad deben tener su comida recogida para que no comen después de las 10 pm la noche antes de la cirugía.